The status of Modern Family has been in question recently, with its future on ABC remaining uncertain. This week, star Sofia Vergara said the show was "likely" to be back for another season, although a renewal had yet to be officially announced. Today, it has been confirmed by the network that the show will be back for Season 11, but the bad news is that it will serve as the final season for the series. Of course, 11 seasons on the air isn't shabby for any television show, and allowing it to have another run of new episodes will allow those involved to give the long-running series the proper conclusion that it deserves. The deal will see the final season run during the 2019-20 broadcast season, taking the series into 2020. For diehard fans of any particular TV show, it's never fun to hear about it coming to an end. Still, 11 seasons is more than what the original plan was for Modern Family. Co-creator Steve Levitan had previously said the goal was to go for ten seasons. ABC Entertainment president Karey Burke is also promising "more milestone events" for the show's final season, and there's still plenty for fans to look forward to at this point. Burke also noted that she is open to seeing a spinoff of the series launch at some point in the future, although there are no plans for that at this time. Perhaps the fan interest and ratings for the final season will help the network decide if the story could continue in some kind of spinoff series. 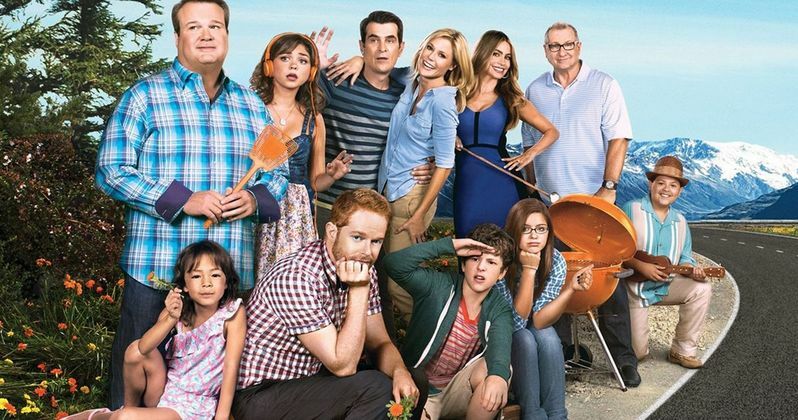 Modern Family stars Julie Bowen, Ty Burrell, Jesse Tyler Ferguson, Eric Stonestreet, Sofia Vergara, and Ed O'Neill as the primary adult characters. Sarah Hyland, Ariel Winter, Nolan Gould, and Rico Rodriguez play the show's younger characters, and season 11 reportedly relied on inking new deals for the performers. All will be returning for the final season of the show, and the future seems bright for each of them following their impressive runs on the popular sitcom. The biggest surprise of the show last year was the death of one of its characters. Prior to the episode, ABC had made it clear Modern Family would be killing somebody off. This fueled plenty of rumors and speculation about just who it was that it could be, with the possibility there for it being any of the main characters. It turned out to be Jay's ex-wife DeDe, played by Shelley Long. There's no indication any of the show's final storylines will consist of something as dark, but with no reason to hold back on anything due to the show's cancellation, anything is possible for season 11. We'll see what surprises Modern Family has in store for its for its final season. With no concerns about where to take the series moving forward, it seems like almost anything could happen. For fans of the show, hopefully, the final set of episodes will be as hilarious as expected so the long-running series can go out with a bang. This information comes to us courtesy of The Hollywood Reporter.